Yamaha Pocket Recorder PR7 - New! Mint Vintage B3 & 122RV Leslie-Avail! Mint B3MKII Organ & Leslie 122XB-Avail! Beautiful Vintage C3 Organ Pkg-Avail! Mint Hammond Elegante & 760 Leslie-Avail! Hammond X77 & 2 Leslies-Avail! Pristine Vintage B3 & 122 Leslie-Sold! Hammond B3 Organ & Les-Sold! Pristine Hammond C3 Organ Pkg-Sold! Mint Hammond B3 Organ & Leslie-Sold! Hammond B3 Organ & Leslie Pkg-Sold! Hammond B3 Organ & 122 Leslie-Sold! Mint Hammond B3 & 122 Les-Now Sold! Mint Hammond D-152 & 122RV Les-Sold! Vintage B3 Organ & Les Pkg-Sold! New Arrival B3 & Leslie Pkg- Avail! Hammond Pro XKc Organ/122 Les-Sold! MINT B3 Organ & 122 Leslie Pkg -Sold! New Arrival Mint B3 & Leslie Pkg-Sold! Beautiful Hammond B3 & 122 Les-Sold! Beautiful Hammond B3 &122 Les-Sold! Beautiful Hammond C3 &122 Les-Sold! Beautiful Hammond C3 & Leslie-Sold! Mint Hammond C3 Organ/Les Pkg-Sold! Pristine B3 & Les 122-Sold! Now In B3 & Leslie Speaker Pkg-Sold! BEAUTIFUL B3 Organ& 122 Leslie-Sold! PRISTINE B3 ORGAN & LESLIE-Sold! PRISTINE B3 & 122 Leslie-Sold! PRISTINE B3 & 122 Leslie - Sold! 1970's Vintage B3 & 122 Leslie-Sold! Affordable Hammond C3 & Leslie-Sold! Mint Hammond B3 & Leslie-Now Sold! Mint Yamaha SA 2200 HB Guitar-Sold! Mint Vintage B3 Organ Pkge-Sold! Beautiful B3 & 122 Leslie - Sold! New Arrival Beautiful B3/Les - Sold! New Arrival B3 & Les Package-Sold! New Arrival Mint C3 & 122 Leslie -Sold! New Arrival Hammond A-100 - Sold! New Arrival Mint B3 & 122 Les-Sold! New Arrival Mint C3 & 122 Leslie- Sold! Mint Hammond A-100 Organ-Now Sold! Affordable Vintage B3 Organ Pkg-Sold! Vintage Hammond A102 Organ - Sold! Mint Hammond B3 Organ Les Pkge-Sold! 1960 Hammond B3 Organ & Leslie-Sold! Hammond A-100 Organ & Leslie-Sold! Vintage Hammond B3 Pkge - Sold! 1971 Vintage Hammond B3 - Sold! Hammond X66 Organ - Available! 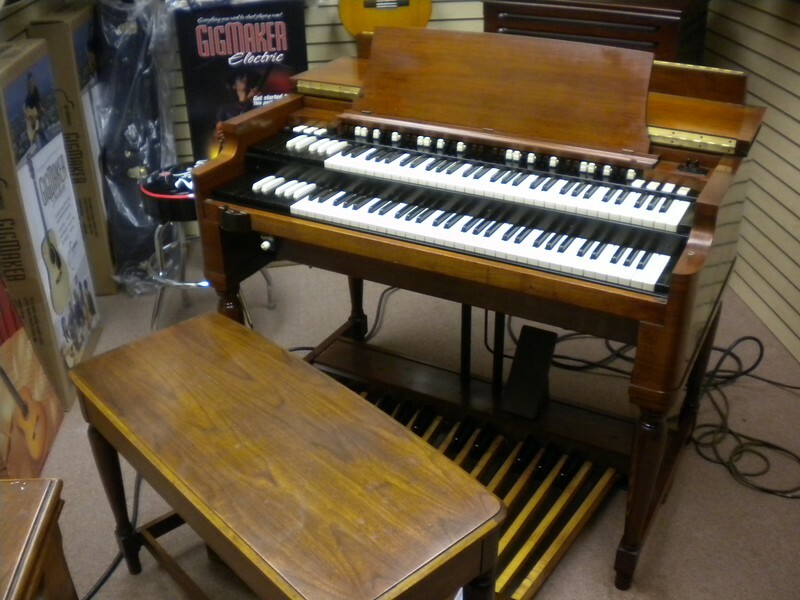 Hammond B3 Organ Pkge - Sold! 70's Vintage B3 & Leslie Pkg - Sold! Mint Vintage Hammond C3 Pkge-Sold! Hammond Vintage A-100 Organ - Sold! Mint Hammond B3 Organ Pkg - Sold! Hammond C3 Organ & Leslie - Sold! Mint Vintage Hammond B3 PKG - Solld! Fender Twin Reverb Amp MINT-Avail! MINT VINTAGE B3 & Les PKG-Sold! Pristine 1964 B3 & 122 Les - Sold! Mint Condition C3 Organ PKG -Sold! Hammond BC Organ Package - Sold! Classic B3 Organ & 122 Leslie -Sold! B3MKII Portable Organ - Now Available! MINT Vintage B3 & 122 Leslie - Sold! Showroom New 1965 - B3 Organ -Sold! Pristine B3 Organ & Leslie Pkge-Sold! Hammond 25 Note Bass Pedals- Avail! 122 Vintage Leslie Speaker - Sold! MInt Hammond XK-3 & EXP-100F- Sold! Afforable Vintage B3 Organ Pkge-Sold! Vintage C3 Organ Pkge-Sale Pending! Pristine & Affordable C3 & Leslie - Sold! Pristine Vintage C3 Organ Pkge - Sold! Vintage Leslie Speaker For Sale - Sold! Vintage A-100 Organ &147 Leslie-Sold! Vintage 1959 Mint B3 & Les Pkge-Sold! A Mint Vintage B3 & Les Pkge-Sold! Warehouse Special 1959 B3 &122 Sold! Affordable Kawai Grand Piano - Sold! Mint Vintage 1962 B3/Leslie Pkge - Sold! Pristine 1963 Vintage B3 Package Sold! Pristine 1958 Vintage C3 Organ - Sold! Pristine1964 Vintage B3/Les Pkge Sold! Mint Vintage 1973 B3 & 122 Pkg Sold! 1960's Vintage Ham A100 Organ Sold! SK2 Mint Condition - Sold! Pristine Vintage 1964 B3 & 122 Sold! Smoking Vintage B3 Organ Pkg - Sold! 1964 Vintage B3/122 Pristine - Sold! 1972 Vintage B3 & 122 Leslie - Sold! Pre-Owned 760 Leslie Speaker - Sold! 1970's Prisitne Vintage B3 Pk - Sold! Prist B3MK2 Port/ 122XB - Sold! 1961 Mint Vintage B3 & Les Pkg Sold! PRO-XK System - Sale Pending! Ham 920 Chapel Organ - Sale Pending! 1974 Mint Vintage B3 & Les Pkg Sold! Affordable - Vintage B3 & 122 Sold! Mint Condition Vintage B3 & 21H - Sold! Mint Condition Hammond B3 & 122 Sold! Gorgeous - Vintage B3 & 122 Les Sold! Mint Vintage B3 & 122 Leslie-Sold! Vintage Mint B3 & 122 Les - Sold! Vintage Hammond A-102 Organ Sold! 1960's Vintage B3 & 122 Leslie Sold! 70's Vintage B3 & 122 Lesllie Sold! Mint Vintage B3 Package Sold! Mint Vintage 1960's B3 Pkge Sold! Mint Vintage 1959 B3 Package Sold! Pristine Vintage B3 & 122 Leslie Sold! Prinstine Perfect B3 Pkge Sold! Showroom New Vintage B3 Pkge Sold! Pristine Vintage B3 Package Sold! Mint Vintage B3 &122 Leslie & Sold! Pristine Vintage B3 & 971 Leslie Sold! Pristine Vintage B3 & 21H Leslie Sold! Mint Vintage C3 & Leslie Sold! Mint Vintage B3 & 122 Leslie Sold! Mint Vintage B3 &122A Leslie Sold! Mint Vintage D152 Church Organ Sold! Mint Vintage B3 & 22H Leslie Sold! B3mk2 Portable & Leslie 3300 Sold! Mint Condition B3 &122 Leslie Sold! Vintage B3 Organ & 122 Leslie Sold! Wulitzer Electric Piano - Sold! Church's Hammond Organ Delmar D.E. Mint Vintage B3 Organ & 122 Leslie Speaker Package Sold! 862-812-0802. Ask for Vince Seneri. Mint Condition Classic 1960's Vintage Hammond B3 Organ & Condition122 Leslie Speaker & Classic Spring Reverb! A Great Value! A Great Buy! You Can Own This Hammond Vintage B3 Package For $139.99/Month! - In USA! Will Ship Anywhere In The World!